There’s nothing better than kicking back on a beautiful Sunday morning with a cold glass of…Smoothie! One of my favorite smoothies is the Strawberry Banana Pineapple Smoothie and it’s super simple and easy to make! 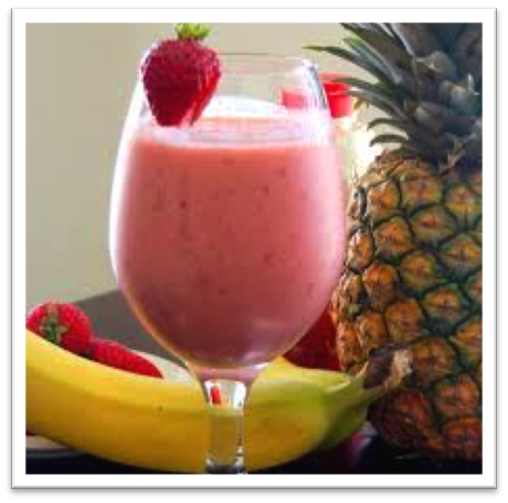 *I usually cut and freeze over ripe strawberry and bananas for smoothie-making days. Take out your blender and measuring cups.